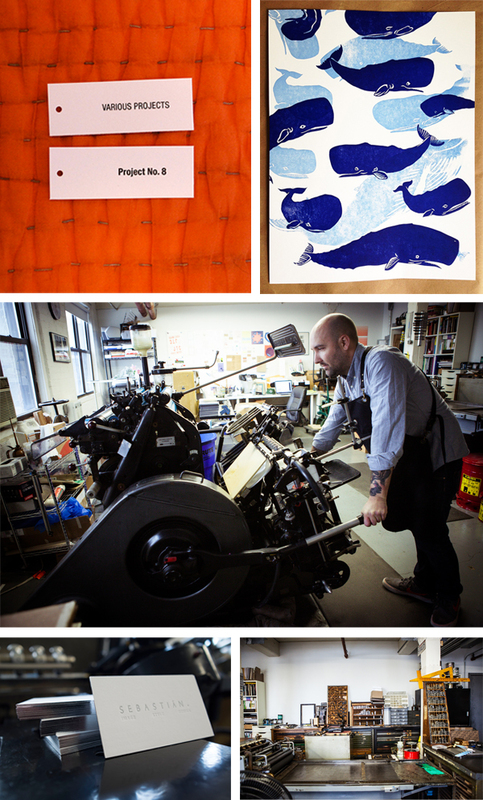 Through nearly a decade of printing adventures (from printing with Hello!Lucky to opening up shop in his current printing abode in the creative neighborhood hub of East Williamsburg, Brooklyn), Nicholas Hurd of Wasp Print continues to deliver whether it’s serving up a fresh batch of letterpress printed goodies or being inspired by the non-stop creative forces that swirl in New York City. 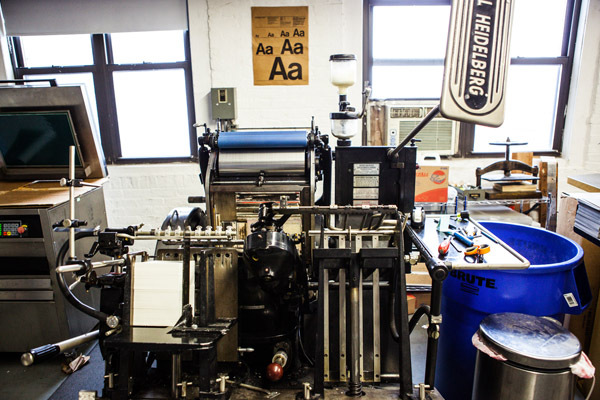 We were able to catch Nicholas for a hot minute to talk shop, where to get the best delivery for those late night print runs, and of course… the mesmerizing awe of watching a Heidelberg Windmill & his beloved Vandercook in action. CREATIVE MAVEN I am a printer, artist, tattoo collector, maple syrup snob, whiskey drinker, paper fanatic, amateur gardener, drummer, and lover of ink. I live in Brooklyn with my wife Erin, who is an excellent printer on the Vandercook and a poet & writer. We have a 9 lb chihuahua named Reno, who is an extremely accomplished and obsessive fetcher. LETTERPRESS OBSESSED I was first introduced to letterpress while studying printmaking at the San Francisco Art Institute. After spending three years learning etching and lithography I was excited to print something where the machine was doing most of the work and large editions were made with ease. After school I worked for 4 years mostly printing greeting cards for Hello!Lucky. 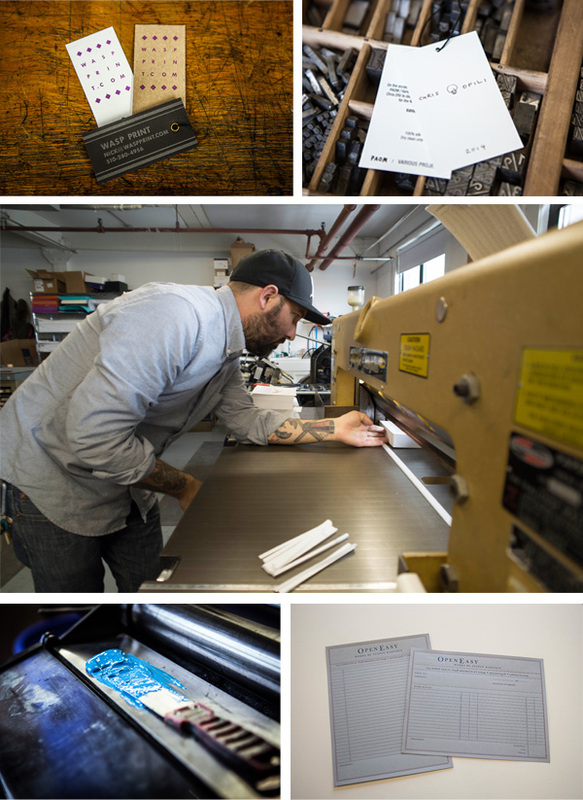 They were a wonderful company to work for and it gave me a lot of experience in production printing. 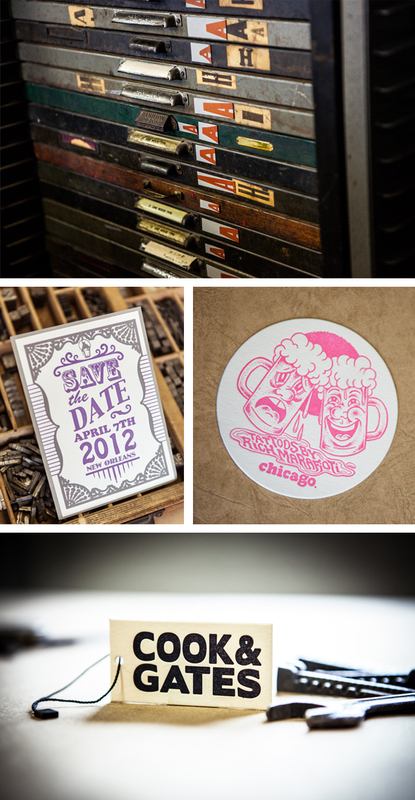 The deeper I waded into letterpress printing the more obsessed I became. It’s pretty much the only thing in the world that makes any sense to me. EAST WILLIAMSBURG WONDER I share the space with another awesome designer/printer, Dan from Sheffield Product. We both love collecting old equipment but operate in a tiny space. Together we have a 10×15 Windmill, 219 Old style Vandercook, 305MC Challenge Paper Cutter, a ton of type and other little bits of equipment. We’re located in a big warehouse building in East Williamsburg in Brooklyn. I print a lot of business cards and some personal stationery as well. I love the hustle and bustle of the city and feature quick turnaround times for those New Yorkers who are moving at lightning speed. 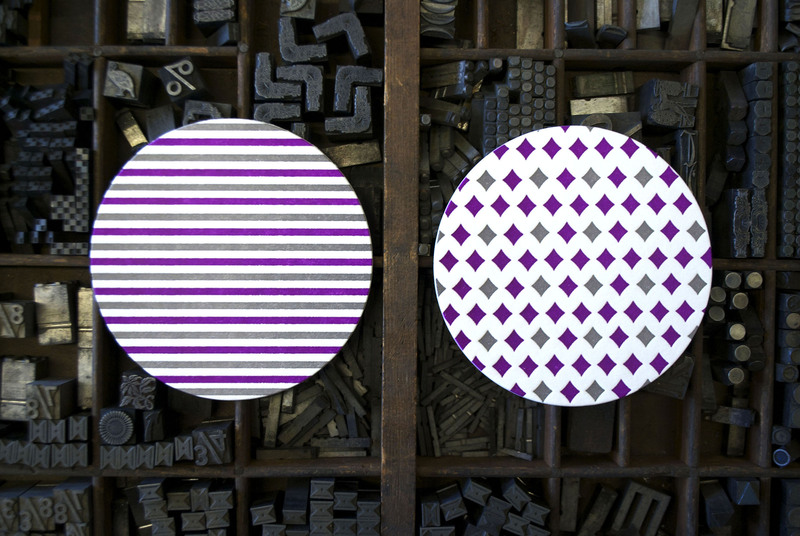 We also love collaborations with artists and making political posters with hand set type. DESIGNED FOR PRINT I’m both a designer and a printer. I enjoy designing but really love collaborating with other artists and printers. It is fun to work with people who don’t understand the process because they always bring something new & challenging to the table. CREATIVE INFLUENCES I really enjoy looking for old printed design elements. I love bright colors and patterns. New York City has a wealth of inspiration for me. Hand painted signs, architecture, and mosaics all influence my design work. A meandering walk through the city always leads to exciting inspiration. I once made a design based on chewing gum on subway platform. I was designing something that looked spacey and noticed that the gum on the platform looked like planets in a solar system. FULL TIME FUN Yes, this is a full time operation. After working for other printers and stationers for 10 years I finally set up my own shop a year ago. I work some seriously long hours. Fortunately there are tons of awesome food delivery places nearby and Fleetwood Mac albums to keep me sustained. I see a lot of old printers going out of business who are not keeping up with the design aesthetic and print needs of people in this city. It’s sad to see them go but they are operating on an outdated model of what printing is presently used for. 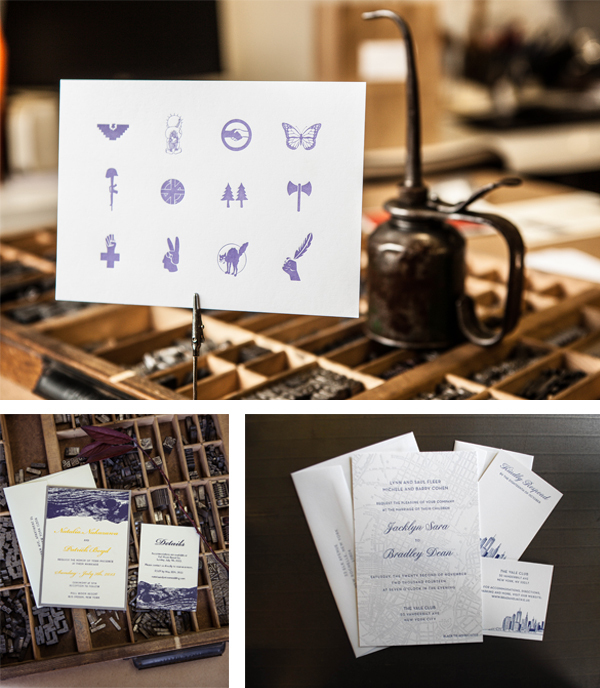 I have found that there is actually a huge market for printing and letterpress. There’s a real longing in this digital age for a well made and tangible object. 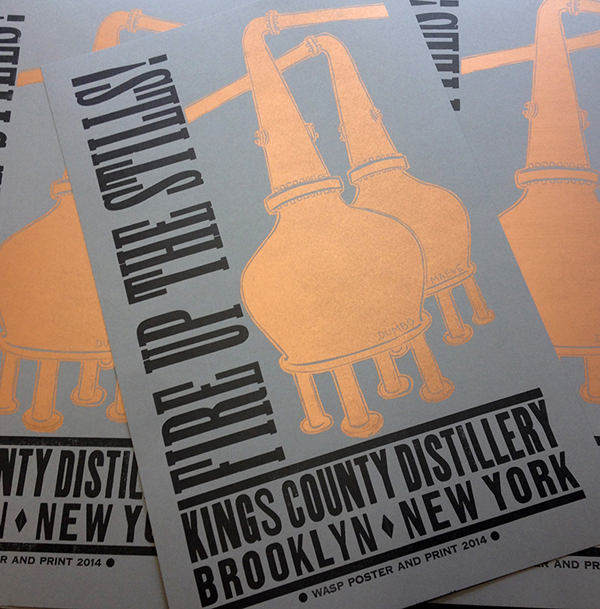 PRINTING FEATS I love making wood type posters and every time I make one I am proud of it whether it’s a political poster that I can distribute at a demonstration or a poster for a local whiskey distiller. BOXCAR’S ROLE The Boxcar Base and plate system has been great to letterpress printers everywhere. Plate switchover on a Boxcar Base is the easiest and fastest system. PRESS HISTORY I learned how to print on Vandercooks but the first real press I ever bought was a Windmill. It really is the most beautiful machine. Once you start using one of these it’s hard to go back to any other machine. The feeding, registration, inking and impression are all top notch with this press. It looks like a perfectly choreographed ballet every time I turn it on. 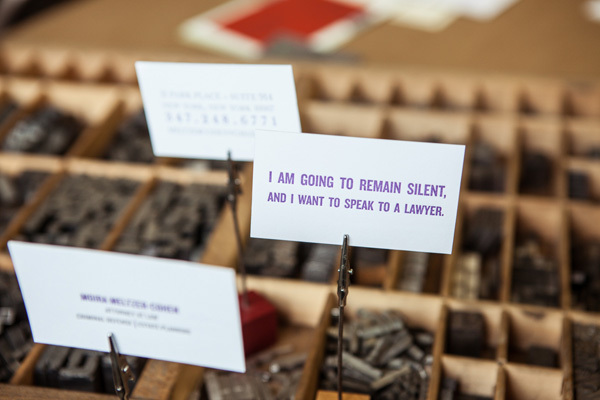 SHOP TIPS I keep my best tricks a secret, but the best advice I can give anyone who is interested in letterpress is to have patience and enjoy the problem solving aspects of the work. We do this not because it is easy but because the finished product looks great. Expect every job to be a struggle – you might have to fight the paper, ink, press or design- but hopefully not all four. WHAT’S NEXT I plan to keep on printing, expanding our equipment and making more posters with members of NYC’s passionate and amazing activist community. I would like to get into making ‘zines and books too! 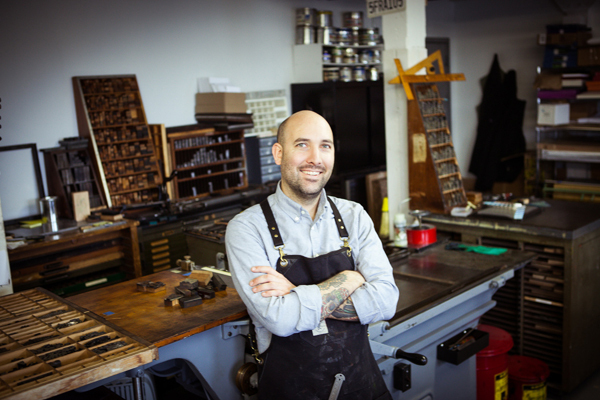 Huge round of thanks out to Nicholas Hurd of Wasp Print for letting us take a peek into his inspiring world of letterpress! This entry was posted in Printer Profiles, Shop Talk and tagged heidelberg windmill, letterpress print shop, letterpress type by Rebecca Miller. Bookmark the permalink.